Ignite Women	Whack Those Weeds! Written by Amy Byrd, author of Blessed Beyond Belief. After living in the cotton fields of Texas for many years, I decided that a garden would be a lovely addition to our backyard. 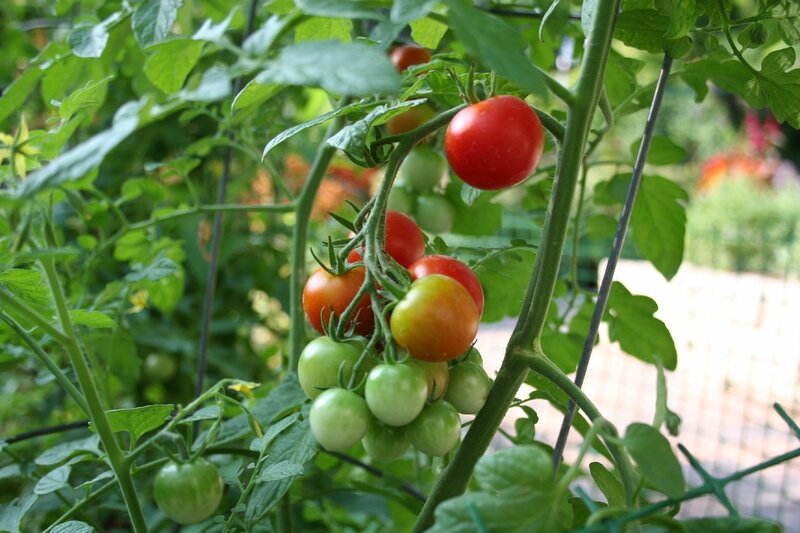 I had watched the gardening shows on HGTV and looked at the pictures in gardening magazines as I envisioned the lovely splashes of color and yummy, plump vegetables that would be harvested from my garden. If cotton could have grown on that very spot for many years, surely a lovely garden would flourish, I thought to myself. However, long before harvest time, I was greatly dismayed at the results of my gardening endeavor. You see, I had not taken into account the hours I would have to spend in the search and destroy stance which can best be described as bending over, head 6 inches above the ground, while all the blood in your body feels as if it is going to rush out of your eyeballs. This stance is necessary in order to rid the garden of those pesky destroyers called weeds. There was no machine that I could program to zap all of the weeds out of my garden. For goodness sake, I couldn’t even pay my teenage children to go and pull the weeds. In order to find the weeds that wanted to take over and control my garden plot, I had to be intentional in my pursuit. Let me try to explain Texas weeds – weeds that have a will to live! Some of them grow tall and proud while others peep their ugly little heads up and grow horizontally instead of vertically. From hours of weed-pulling experience, I can report that the tall and proud weeds give up their stance much easier than the spread and conquer weeds. The fact is, no matter how many beautiful flowers and vegetables I planted, without vigilant pursuit, the weeds crowded out the beauty of the harvest. Because I am a follower of Jesus Christ, my life is absolutely beautiful as I carry about in my spirit the righteousness of God. He planted Himself there in the beautiful garden of my life. But my flesh has weeds that pop up overnight at times, and others that have been well-cultivated in the soil of my heart. Some of those weeds look like fear, gossip, jealousy, lack of faith and pride. At times I have allowed them to root so deeply into my mind and soul that when the Master Gardener begins weed whacking…it hurts. But oh the beauty of the blossom – the righteousness of God – can be seen so much better when the weeds are gone. The lessons I learned in the gardens of my Texas life have given me valuable insight into the garden of my life. Ephesians 4:27 says, “…don’t let the devil get a foothold.” Weeds are a foothold into the garden. They can be easily removed when they first appear because they have not had time to root and set up a command post. However, weeds which are ignored begin to take that foothold and turn it into a hostile take-over. What about your garden? Do you notice that there must be some intentional weed whacking? Allow the Master Gardener to enter the garden of your heart and mind and submit to His pruning as He cuts and pulls every weed that is not producing fruit for His glory. Ouch…yep, it may hurt, but His reputation is worth it. You can read more about Amy here.